In the area resides the mountain of Sredna gora, which is part of the Balkan mountain range, with its highest peak of 1,604 m (Golyam Bogdan peak). The mountain is famous for its mines, in which artefacts were found being manufactured in the late Chalcolithic age (4400-4100 BCE). The mountain holds not only that but also several towns of great historical significance for all Bulgarians. Koprivshtitsa is a historic town, lying on the Topolnitsa River among the Sredna Gora mountains. It was one of the centers of the April Uprising in 1876 and is known for its authentic Bulgarian architecture and for its folk music festivals. Koprivshtitsa is one of the most characteristic Bulgarian towns, still preserving the atmosphere of the Bulgarian National Revival period of the 19th century. The town is huddled in the mountain-folds, 111 km east of Sofia. The town boasts a large number of architectural monuments from the period, numbering around 383, most of which have been restored to their original appearance. Collections of ethnographic treasures, old weapons, National Revival works of art, fine fretwork, household weaves and embroidery, national costumes and typical Bulgarian jewellery have also been preserved. Panagyurishte is a town situated in a small valley in the Sredna Gora mountains. The town has a picturesque location in the mountains and is another town associated with the historic April Uprising in 1876. 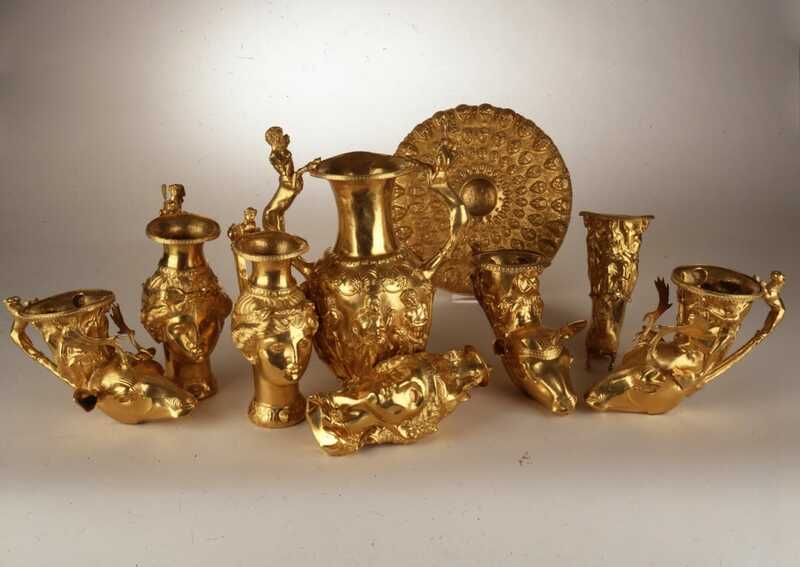 Panagyurishte also gained fame for the "Panagyurishte gold" treasure discovered there in 1949. It is also near the mineral water spas of Banya, and recreational facilities in Panagyuriski kolonii.